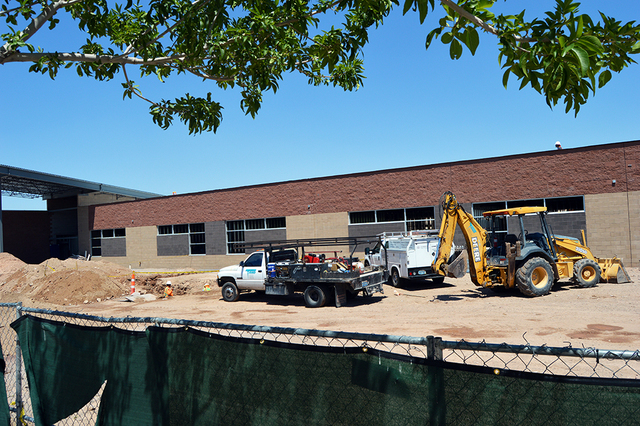 Boulder City High School’s change from old to new is one step closer to completion as the foundation of new hallways and classrooms are beginning to take shape, bringing the campus its first major makeover since President Harry S. Truman was in office. 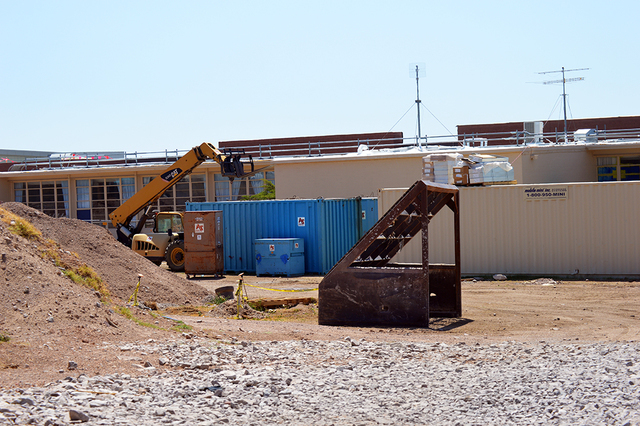 Phase Two of the high school construction project involves two demolition stages to remove some of the old classroom hallways and the entire administration building. The phase also involves the addition of new furniture, computers, new drywall, installing a new air-conditioning system, which is all part of a creation for a grand mall area. The project is set for completion by January 2017, three months ahead of schedule. The current administration building has not been demolished yet and the completion of the new administration building is ongoing. The new administration building is needed because currently administrative staff is spread out across the school and not in one consolidated area, according to Boulder City High School Principal Amy Wagner. “All the office stuff is going to be in one spot,” Wagner said. “It can be really difficult for parents and new students to get around the school. I am in one building and the counselors are not in the same office so you have to walk to a different building to find them. It will be much better for students and teachers to talk with us now that we will all be in the same area. Wagner said she is very happy with the construction of the new building. The buildings’ improvements were much needed since the infrastructure of the current building was falling apart, according to Wagner. According to the high school’s website, funding to remodel the building was approved in 1998 and the project was set to begin in 2003 and to be completed by 2005. However, the project was not officially started until July of last year. In 2003, Boulder City High School was one of five schools selected for phased replacements of its facilities as part of the district’s 1998 capital improvement plan. The voters approved more than $4 billion in bonds. 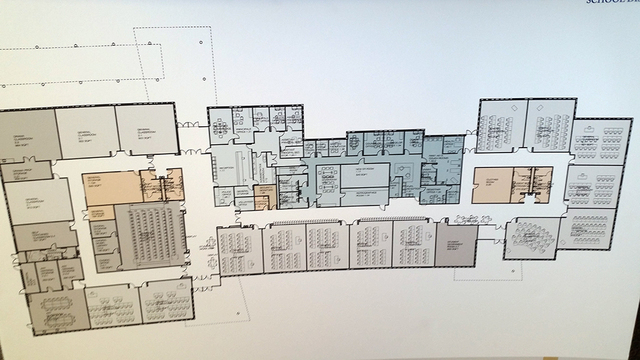 Renovations at the high school has been split into four phases. The first, completed in 2004, added the library and new gymnasium to the campus. Phase Three of the project will see the construction of a new fine arts facility and Phase Four will work on improving the sports fields and facilities. Clark County School District has only budgeted money to complete the first two phases, while funding for the other projects has not been officially guaranteed. Boulder City Councilman Cam Walker said the money for the two phases was added in Clark County School District’s Fiscal year 2017-2018 budget. Walker also said the district could save at least $1 million if it kept their contract with the companies currently working on campus. 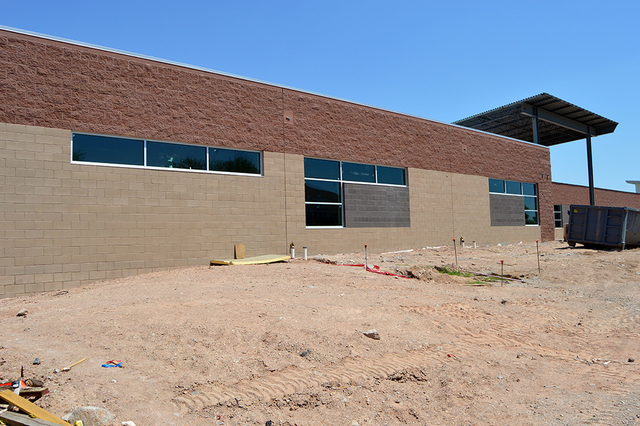 The first two phases combined cost $33,901,893 to complete, according to Clark County School District. A look at construction, as well as a video showing the start of the project to its current state is available at http://bit.ly/2aPunDJ. Contact reporter Max Lancaster at mlancaster @bouldercityreview.com or at 702-586-9401. Follow him on Twitter @MLancasterBCR.